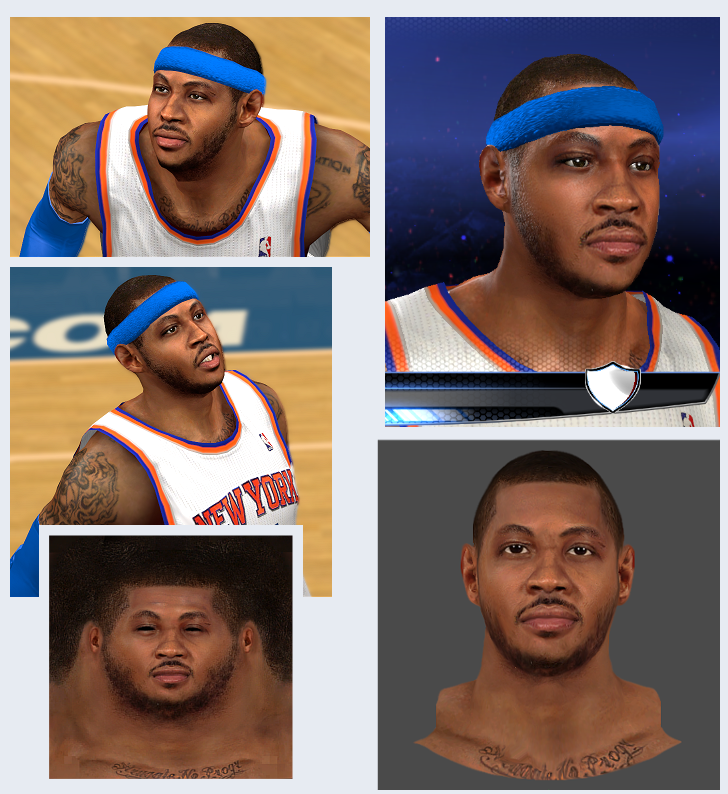 Final version of Carmelo Anthony cyber face mod by kahoona for NBA 2K14. 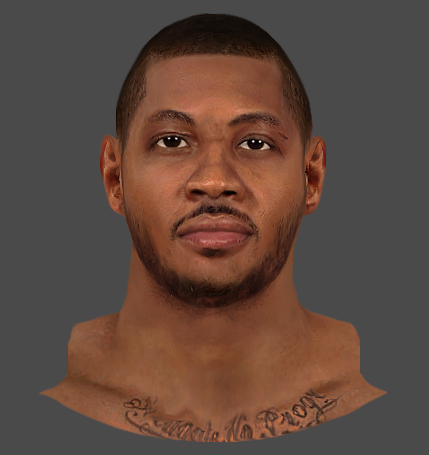 It has a realistic face texture with full beard to match his current look. Use the alternate download link if you want the version with thicker headband and a closer skin tone.